Cauliflower is available in several varieties, including white, green, orange, purple and green “Romanesco” cauliflower. Cauliflower is one of several vegetables in the species Brassica oleracea, which also includes broccoli, cabbage and Brussels sprouts. 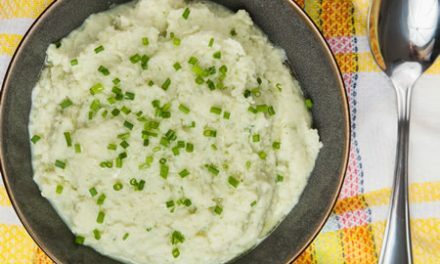 Many people who are interested in eating a lower-carb diet use cauliflower to make mock mashed potatoes. 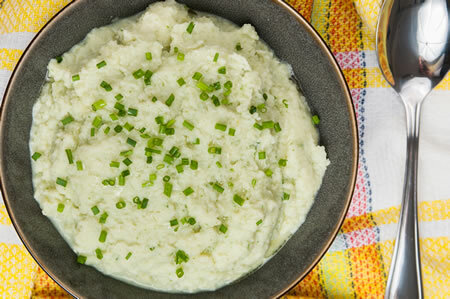 One cup of cauliflower provides about 5 grams of carbohydrate, 2 grams of fiber and 30 calories.